Product prices and availability are accurate as of 2019-04-16 03:26:09 UTC and are subject to change. Any price and availability information displayed on http://www.amazon.co.uk/ at the time of purchase will apply to the purchase of this product. Let the secret agent training begin... Being a secret agent requires split-second decision making, the ability to blend in at crowded places and, fortunately, driving some awesome vehicles. If you need proof, then take a look at our innovative and classy i-Spy Tank. 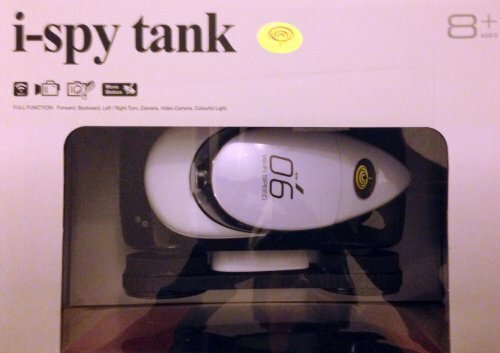 You can be your own 007 with the i-Spy Tank. The i-Spy Tank features a camera with real-time video imagery, records videos and takes high-resolution still photos. Simply connect your iPhone or iPad device with your spy tank via Wi-Fi and get ready to have full control over your tank. You'll have the ability to drive it around and watch video recordings live from your device. You might not have a licence to kill, but you certainly do have a licence live out your spy fantasies with this awesome i-Spy Tank toy. 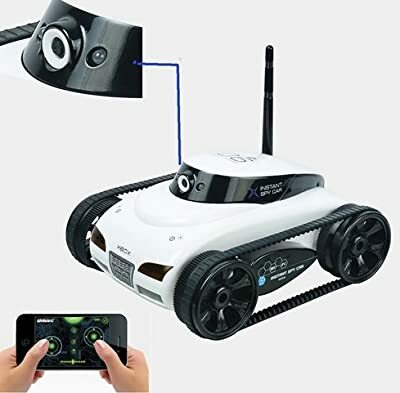 •Features a camera with real-time video imagery: Records videos and takes high-resolution still photos •Compatible with iPhone and iPad devices; use your device to drive the spy tank. Supports accelerometer driving! •Connect device to spy tank via Wi-Fi (Tank becomes an access point)! 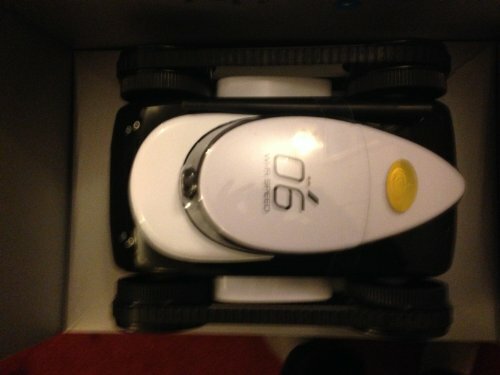 •NOTE: Make sure you use high capacity batteries with this product to get the ultimate fun experience! Free App: Download from the iTunes App store!